Today is the day to begin the journey toward improved health and well-being. Welcome to our warm and friendly office! 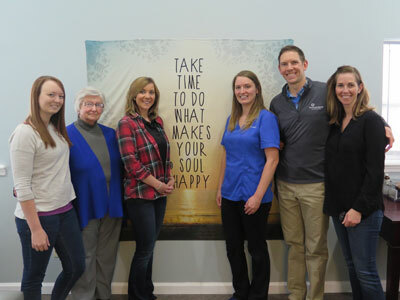 Springfield Chiropractors Dr. John Paciorek and Dr. Shanna Paciorek offer the best in health optimization, with an emphasis on gentle treatment and functional nutrition. 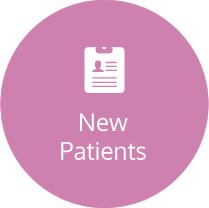 Their mission is to help every patient have a better life, regardless of their age, vitality level or physical condition. Our chiropractic care center is family-friendly and caters to the comfort and well-being of every single patient. Gentle chiropractic care for all family members, from newborns, babies and children to parents, grandparents and moms-to-be. Our entire staff is health-conscious and takes the role of mentorship seriously. Exceptional professional expertise in the field of functional nutrition. We can help those suffering from chronic conditions through the evolutionary approach of customized nutrition, dietary guidelines, exercise physiology and stress management. Therapeutic massage therapy, as well as physiotherapies that include ultrasound, inferential and traction. A warm, friendly and knowledgeable staff with excellent communication skills and unlimited compassion. We’re also very respectful of your time, and will never subject you to long waits while you’re in our office. Get on the Path to Better Health! We have a reputation for excellence in natural health care and feature a team of dedicated professionals. If you’ve been searching for a chiropractor near me, look no further! 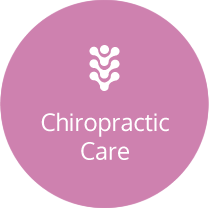 Contact us today for a convenient appointment with one of our chiropractors Springfield. Let today be the day you start to rejuvenate your health. Most insurance is accepted. I first saw Dr. John in May and was back to normal by June and pain free! Now I praise Dr. John and his staff. They have made a believer out of me! This office is so friendly, caring, and truly listen to issues going on. This office is no bull – which being in law enforcement I appreciate. The doctors will tell you what you need to do to get better. They make you part of the process. I was instructed on exercises, diet, and stress management. I highly recommend. This office is fantastic! They not only treat your symptoms they care about you like family. 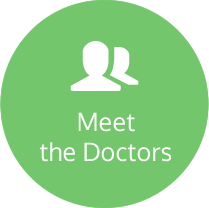 Dr. John takes the time to find out what is going on so he can help you heal. I had severe lower back pain which has been resolved. On a whim I asked about my restless legs, and I’m glad I did. We made some dietary changes, added some supplements, and my legs are better!